Keep your technology up to date and stay ahead of the curve, with My Plan Flex. On our new leasing plans, you can upgrade to a new phone after 12 months for $99, when you return the phone in good working order and sign up to a new 24 month plan. Help your business run smoother with the latest technology, with the option to upgrade after 12 months for just $99. Just return the current phone in good working order, and sign up to a new eligible 24-month plan. When you lease, while you don't own the phone, you could pay up to $10 less on your monthly bill on some My Plan Flex and phone combinations, when compared to similar My Plan Plus options. When it’s time to upgrade, we’ll make sure the old phone is put to good use. So you can feel good knowing you’ve played your part in helping reduce e-waste. Is leasing right for you? Compare My Plan Flex to My Plan Plus below, at a glance. Bonus offers may differ between plan types. 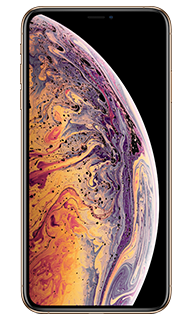 Calculations are based on iPhone XS Max 64GB with $65 My Plan Flex and $65 My Plan Plus. *Additional fees apply for My Plan Flex if you cancel early and/or if the handset is not returned in good working order, including at the end of the lease. For more information, including details of cancellation fees, see terms and conditions below. Accidents happen, we get it. If the phone gets damaged during your lease, you have a couple of options. You could pay to get it repaired by Optus or the phone manufacturer (fees will vary depending on the nature of the damage. You won’t be charged if it’s covered by warranty or consumer guarantees). Or, you could choose to pay a damage fee when you upgrade after 12 months, or when you return the phone to us. If it’s an easy fix like a cracked screen, you’ll pay a damage fee of up to $229, or if the phone has more significant damage or can’t be repaired you’ll pay up to $499. And just so you know, if you do get the phone fixed by a repairer other than Optus or the manufacturer, you may have to pay a damage fee when you return the phone to us later. Safeguard against life’s little mishaps. You can add Device Protect, our 24 month insurance policy to your plan when you sign up. You’ll pay just $14 a month to protect against theft, loss or accidental damage. Total premium $336 and you can cancel anytime and only pay premiums up to the date of cancellation. For full details download a copy of the Product Disclosure Statement (PDS). How is leasing with My Plan Flex different to owning on My Plan Plus? My Plan Flex has all the great standard inclusions that My Plan Plus has although promotional offers may differ between the plans. The key difference is that you are leasing a phone from Optus instead of purchasing one. You don’t own the phone and this has some important considerations for you. You could pay up to $10 less on your monthly bill on some My Plan Flex plan and phone combinations compared to similar My Plan Plus options. This means you won’t necessarily pay less on all My Plan Flex plans. Plan cancellation and/or damage fees apply on My Plan Flex. On a My Plan Flex plan once the leasing contract is over you need to return the phone to Optus in good working order. You can also choose to continue the lease for up to 2 months more by continuing to pay your monthly plan and device charges, or you can choose to make an offer to purchase the phone at fair market value (which we will advise at the time). Can I choose any phone on the leasing plans? No. You can choose from a list of eligible devices. Find out here. What are my options after my 24 month contract is over? 1. You can return the phone in good working order. If the phone is not in good working order, a damage fee will apply. If it’s an easy fix like a cracked screen, the damage fee is up to $229. If the phone is locked, if it’s more substantial damage, or if it’s beyond economic repair, the damage fee is up to $499. 2. You can continue your lease for up to an extra 2 months after your 24 month contract is over. You’ll continue to pay the monthly plan and device charges. If you don’t return the phone once you’ve had the phone 26 months, you’ll be charged its fair market value and you’ll then own it. 3. You can make an offer to purchase the phone at fair market value which we will advise at the time. What is ‘good working order’? 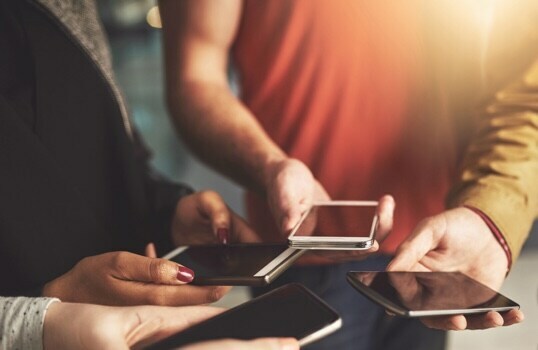 "Good working order" means the phone is fully functional– for example, it makes and receives calls and texts, connects to the internet, can be unlocked, and is not physically damaged, except for normal wear and tear as reasonably determined by us. You can find out more here. Can I upgrade the leased phone during the 24 month leasing contract? Yes, you can upgrade to an eligible in market plan and phone after 12 months. You have to return the current phone in good working order, pay an upgrade fee of $99, and recontract to a new 24 month plan. (You may choose to either lease another phone on a new plan or purchase a phone on a different plan at this time.) If the phone is damaged, you can still upgrade after 12 months by paying a damage fee instead of the upgrade fee. If it’s an easy fix like a cracked screen, we’ll upgrade you for a fee of up to $229. Or if the phone has more substantial damage, can’t be unlocked, or can’t be repaired, you’ll pay up to $499 to upgrade to a new one. What happens if I need my leased phone repaired or if it is lost or stolen? You need to get the leased phone repaired by Optus or the original equipment manufacturer. You’ll pay a fee if the repair isn’t covered by a manufacturer’s warranty or the Australian Consumer Law. If the leased phone is lost or stolen, you will need to advise Optus and fees will apply. How much you pay depends on whether and when you cancel your lease because you no longer have the phone, but it could include a cancellation fee plus all monthly device charges (increased by device credits) for your remaining contract term. If you have taken Device Protect, and the insured phone is damaged, lost or stolen, you can lodge a claim with Optus Insurance Services, which may help to return you to the position you were in before the damage, loss or theft took place. If your claim is accepted, you will pay an excess. Before lodging your claim it is advisable to understand the terms and conditions outlined in your combined Product Disclosure Statement (PDS) and Financial Services Guide (FSG). Can I buy insurance to help cover my leased device? On My Plan Flex you can add Device Protect insurance to your plan at the time you sign up to the mobile plan. This is an insurance policy with a premium payable monthly for a maximum of 24 months. You can cancel it anytime with no cancellation fees – you’ll only pay premiums up to the date of cancellation. The policy expires after 24 months so if you choose to continue your lease after your 24 month lease ends (for up to 6 months), the phone will not be insured. To Find out more, please read the terms and conditions outlined in the combined Product Disclosure statement (PDS) and Financial Services Guide (FSG). What do I need to do before I return the phone? You’ll need to make sure that the phone is in return condition. 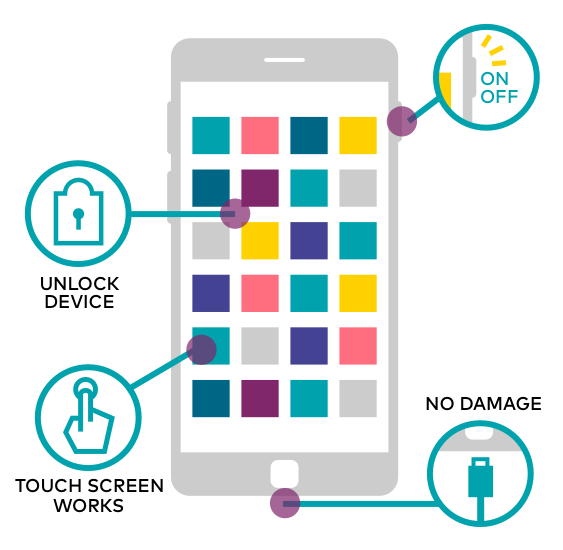 Please ensure your data on the phone is backed up and you have deleted your personal/confidential information before you return the phone to Optus. You’ll also need to perform a factory reset, disable any locking features, and remove the SIM and any memory cards. You’ll also need to provide all documentation reasonably requested by us to help us make sure the phone you’re returning is the same one we leased to you. If you’re returning a phone from another manufacturer, please make sure you’ve disabled any kind of security lock settings on the phone. These settings can remote lock the mobile phone to protect it from data theft if you lose the phone. These security lock settings must be turned off before you return the phone. If you are unsure, please check the user guide for your phone. MY PLAN FLEX PLANS: You can lease an eligible device on a 24 month plan. You don’t own the device and must return the device to Optus in good working order at the end of your contract or you'll pay a damage fee of up to $499. 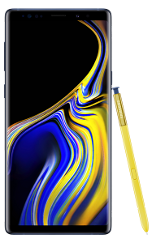 If the phone is damaged during the lease and you'd like to have it fixed, you need to pay to have it repaired by Optus or the manufacturer (excludes warranty/consumer guarantee claims). You can offer to purchase the device at the end of your 24 month lease for fair market value (which we'll advise at the time). If you don't return the device at the end of your lease, you'll continue to pay monthly device charges for up to 2 months (as well as your plan fees). At that point, if you still don't return the device, you will have to pay us a non-return fee (the fair market value of the device which we'll advise at the time) and you will own the device. After 12 months you can upgrade the device by paying a one-off fee of $99. To do this you need to return the current device in good working order to Optus and get a new device on a new eligible 24-month plan. If the current device is damaged, you'll pay a damage fee. If you don't return the current device within 14 days of your new contract you'll have to pay for the device at its fair market value. MY PLAN FLEX CANCELLATION: If you cancel at any time within the 24- month contract term you will be charged a cancellation fee, pro-rated monthly for your remaining contract term. Additionally, if you cancel in the first 12 months you'll have to keep the phone and pay all monthly device charges (which will be increased by any device credits lost as a result of early cancellation) for the remainder of the contract term. If you cancel in the last 12 months of your 24-month contract, you can either return the device to us or make an offer to purchase it at fair market value (which we'll advise at the time). If you choose to return the device, you'll pay $99 if it's in good working order or a damage fee of up to $499 if it's damaged. What is meant by ‘good working order’? Is the phone you leased from us under the mobile equipment lease plan. You'll also need to make sure that the phone is in return condition. Make sure you back up your data and then delete your personal/confidential information. You'll also need to perform a factory reset and remove the SIM and any memory cards, plus disable all locking features. Additionally, you'll need to provide all documentation reasonably requested by us to help make sure the phone you're returning is the same phone we leased to you.